The closures will occur beginning on or about April 1, 2019 and last until May 16, 2019. Lane closures will occur during the morning hours from 6:00AM to 12:00PM, Monday through Thursday only. All lanes will be restored by 12:30PM. The daytime closures are in addition to ongoing nighttime lane closures in the northbound and southbound directions. To avoid congestion that may occur, motorists are advised to seek alternate routes. The lane closures are necessary to facilitate work associated with improving a 5-mile section of the Merritt Parkway (Route 15) and restoring 11 historic bridges (over and underpasses) from the Newtown Turnpike overpass in Westport to the Congress Street overpass in Fairfield. 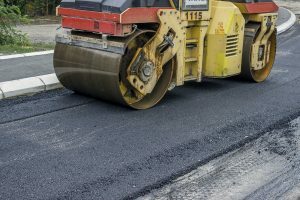 Roadway improvements include new drainage systems, new Merritt Parkway guiderail and barrier systems, new signing, and upgrades to the roadway pavement to current standards. DOT Project is scheduled to be completed August 8, 2020. Daytime northbound right lane 6:00AM to 12:30PM Monday through Thursday for up to 6 weeks. Nightly northbound and southbound lane closures between the hours of 7PM and 6AM Monday through Thursday, 9PM and 6AM on Fridays, and 8PM to 9AM on Saturdays. Intermittent closure of entrance and exit ramps at Exit 41 and 42 after 12AM (midnight) as needed.